Find a vacation home to rent in Ferrara from our list of vacation rental properties. Campaya has over 95 vacation homes available in Ferrara, which give you the possibility to locate a unique accommodation in Ferrara which completes your check-list in search for the perfect self catering vacation apartments in Ferrara or vacation villas in Ferrara. Surrounded by a forest and nestled near the lake, this cosy holiday home is situated in the popular resort of Lido di Volano, near the Po Delta and approximately 20km from Comacchio. Holiday home surrounded by a maritime-pine forest at the Lido di Volano, a popular seaside resort near the Po river delta and about 20km from Comacchio. 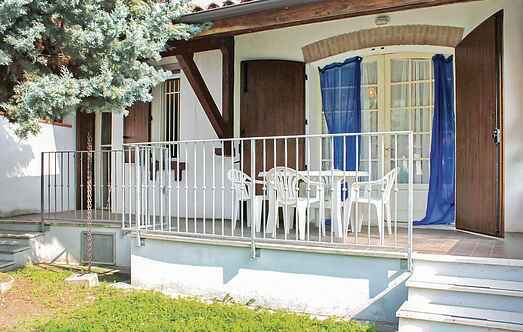 Holiday house close to the sea in the tourist resort of Lido delle Nazioni. Strategic location for getting easily to some historic cities such as Venice, Padoa and Ravenna. Complex of semidetached houses about 600 m from the beach and the centre of Lido delle Nazioni. Detached house situated 400 mt from the sea. At guest's disposal is a large outdoor fenced area with table and chairs. "Holiday apartment in a residence with shared swimming pool, few steps from the sea. Ideal please for family holiday. Ferrara 65 km, Ravenna 50 km or Venice 110 km. See also IEK138/139. Apartment on the ground floor in a terraced house in a residential complex 600 m. from the sea. 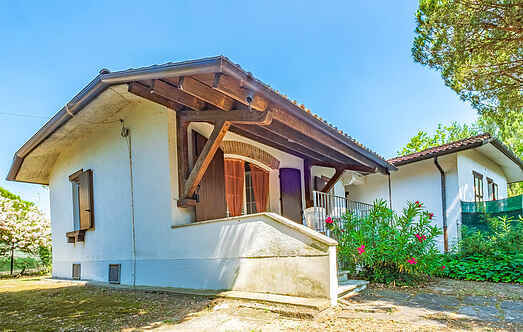 Small semi-detached house, about 800m from the beach and from the centre of Lido delle Nazioni. The vertically spreading accommodation has private entrance and garden. Holiday apartment with simple furnishings at Lido delle Nazioni, tourist destination few steps away from the sea. Apartment in a large resort in Lido delle Nazioni. Shared pool. The beach is 600 m from the property. Ideal for a family holiday. See also IEK138-IEK139 and IEK170 and IEK180. This two-floor terraced house for holidays is located only 600m from the sea and the center of Lido delle Nazioni. Guests have their own garden with parking and a terrace with barbecue. Holiday apartment in an apartment building (with elevator) in the family friendly resort of Lido degli Scacchi. The beach is only a few hundred meters away. Simple furnishings. 2nd florr apartment in a complex situated 600 mt from the beach. At guest's disposal an equipped terrace and a swimming pool. Apartment in a complex of terraced houses with private entrance, about 650 meters from the beach. Within the complex is a common pool with small children's pool. Numbered parking. Apartment in two levels (2nd and 3rd floor) interconnected by internal staircase, building not far from the sea. Roof partially mansard. Equipped terrace.